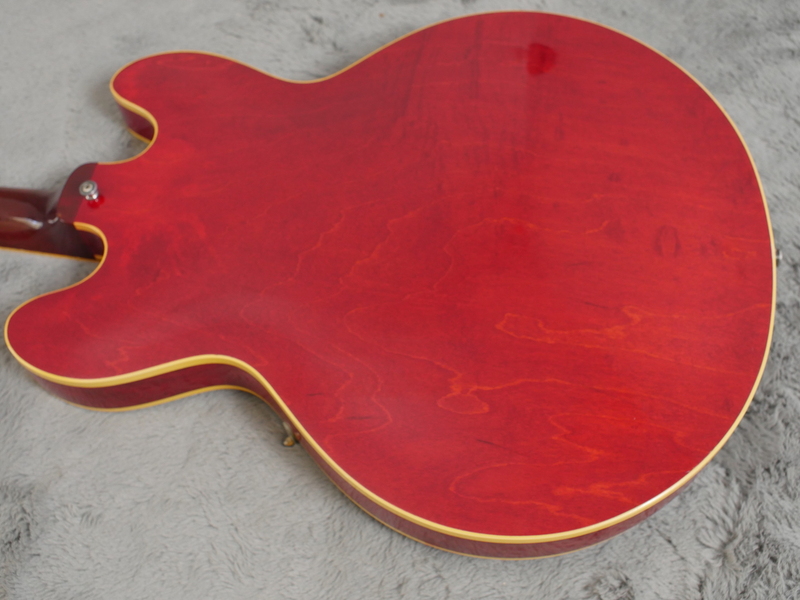 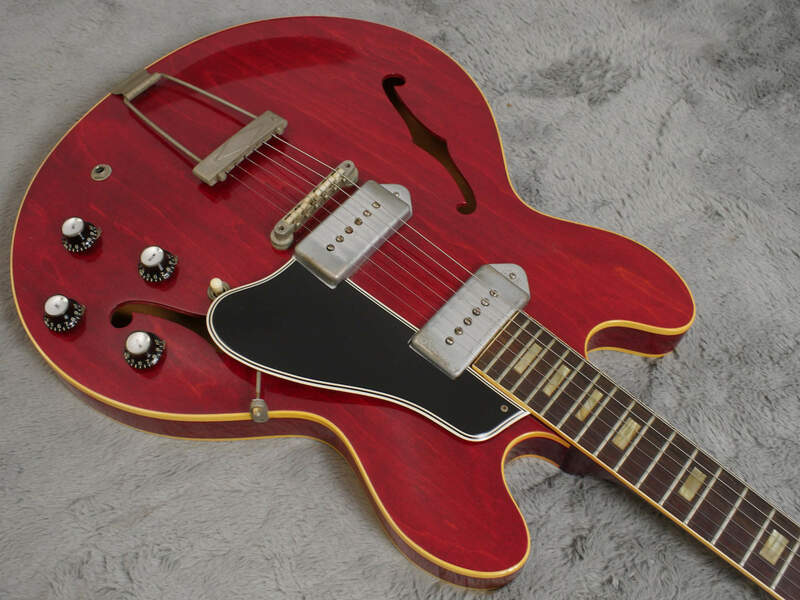 Here from one of our favourite years for Gibson, a fine example of Kalamazoo’s craftsmanship, the 1964 ES-330 TDC. 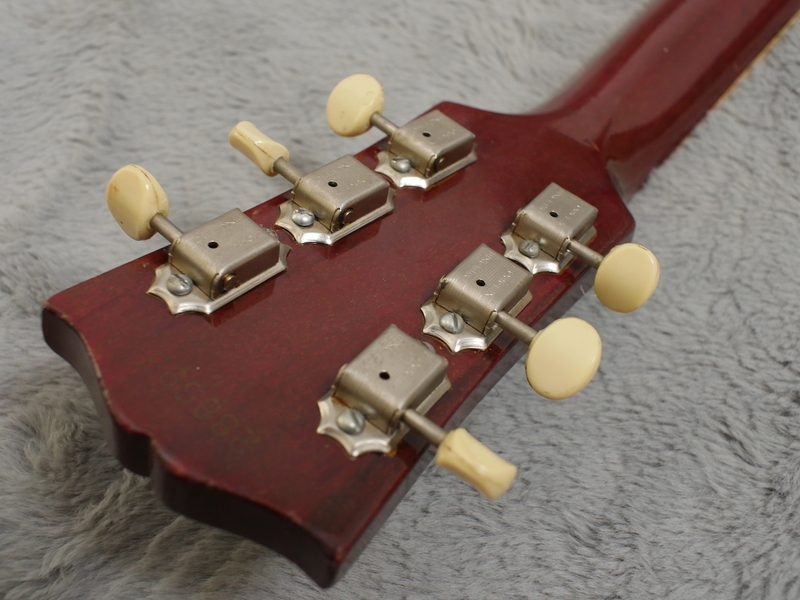 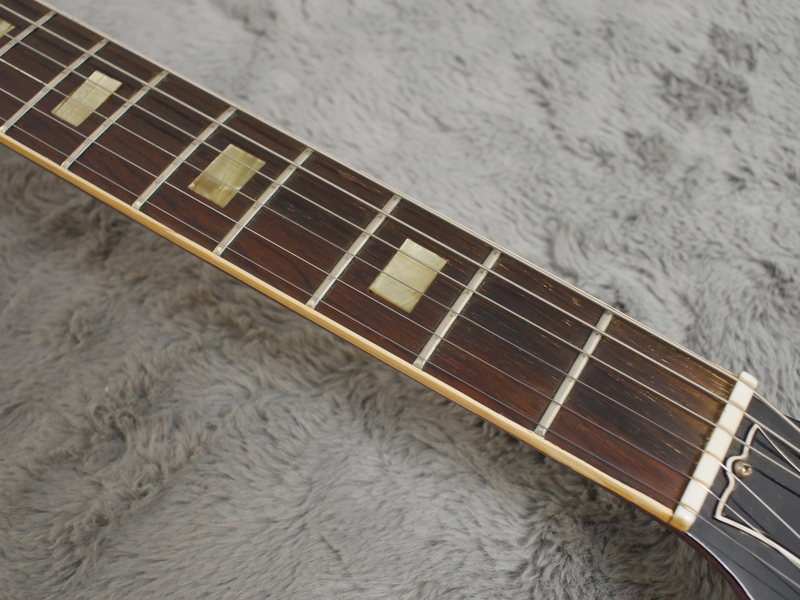 Its status is in no small part due to the neck profile and the 43mm nut width. 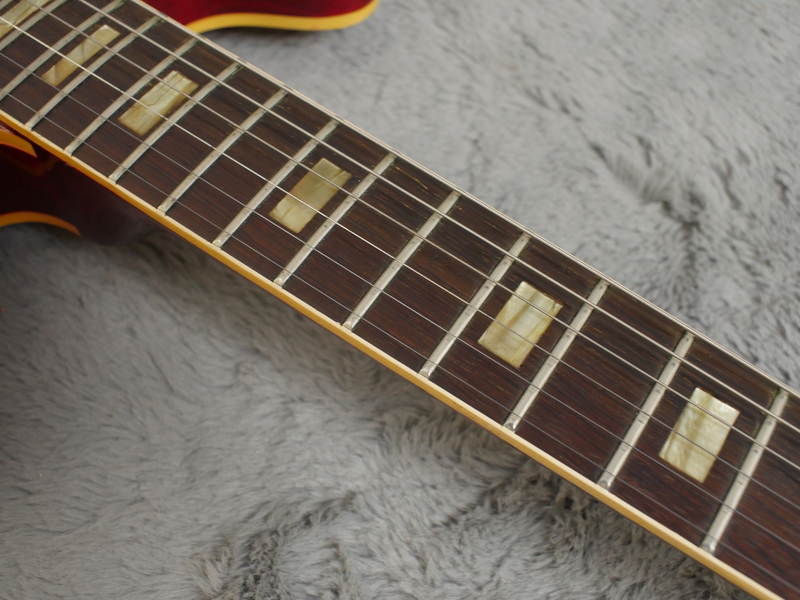 The medium chunky nature of this neck, similar to that of the Gibsons from 1959, makes for a satisfying playing experience coupled with resonant hollow body and 15th fret neck joint. 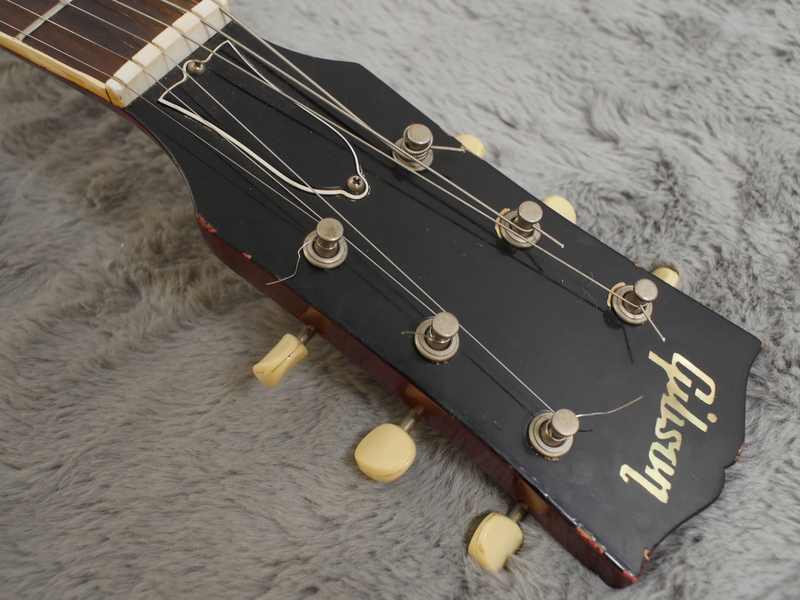 The guitar is original bar the pickup covers which, although original, look as if they may have been been sprayed at some point in the guitars life. 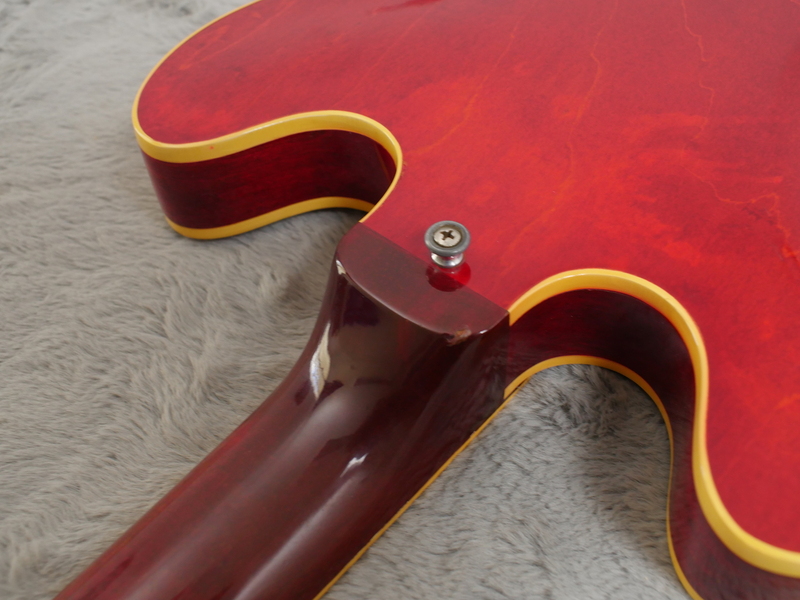 This, if it offends you greatly, could probably be removed but it does not detract from the vibrant, deep gloss cherry red of the body that highlights the fine wood grain both front and back perfectly. 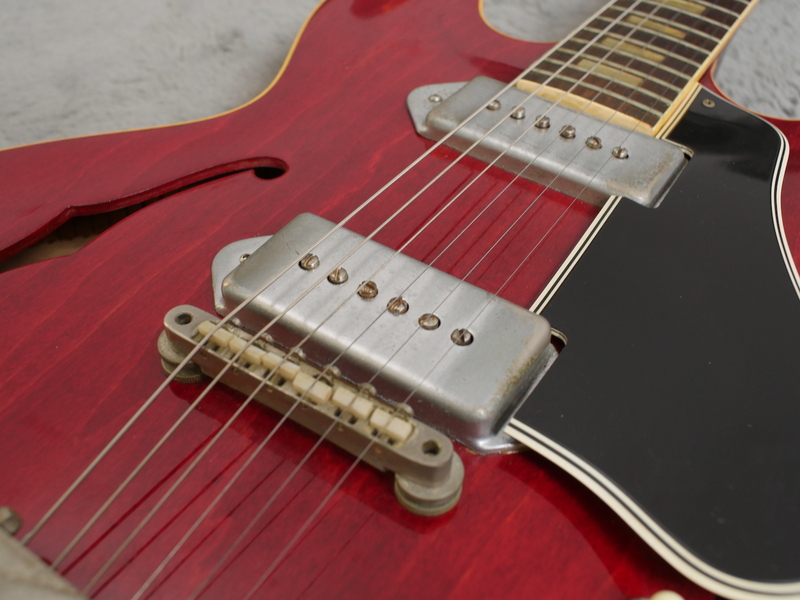 Framed by its cream binding and understated nickel hardware, this is truly a worthy icon. 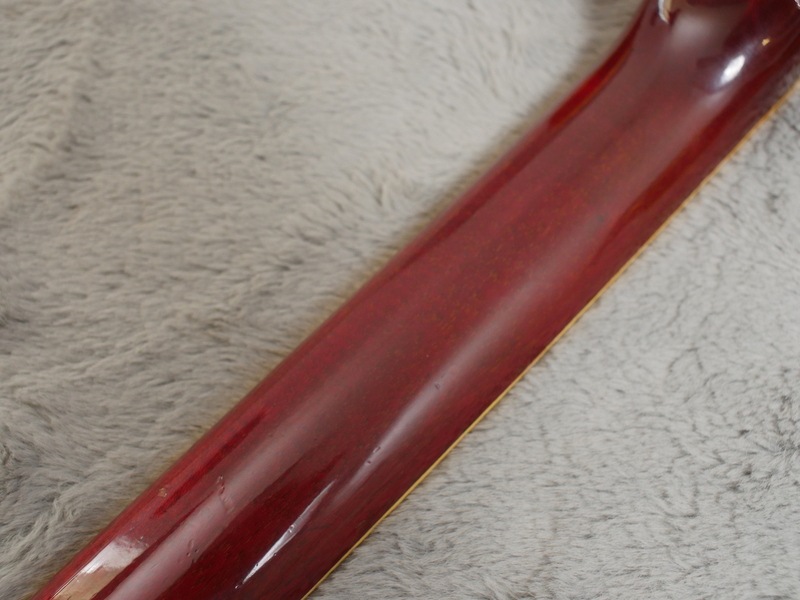 The wide bevel pickguard bringing a touch of pinstriped class to the proceedings. 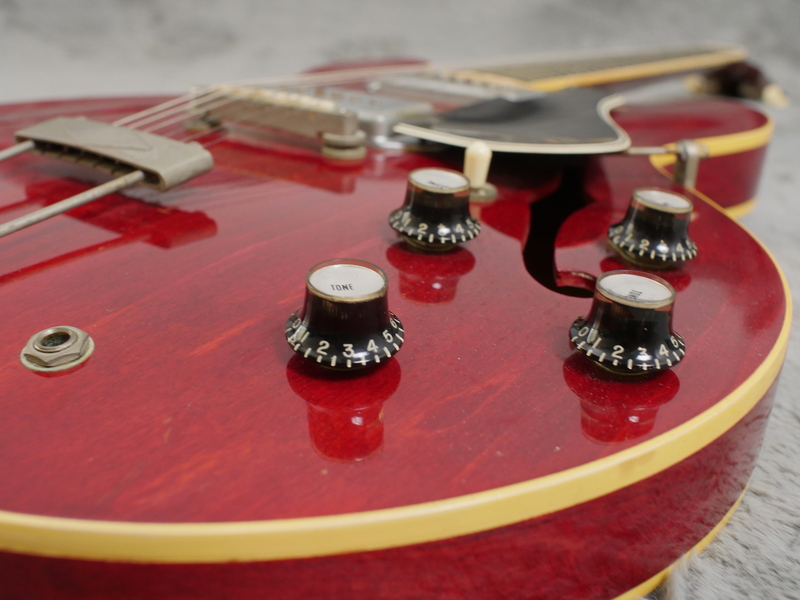 The combination of neck joint position and shallow hollow body brings a tonal blend of warmth and top end clarity unique to the 330. 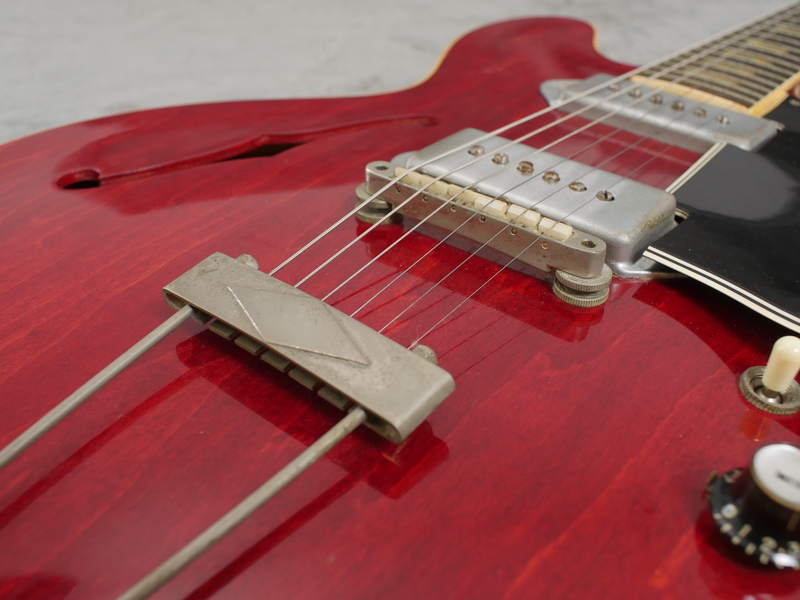 The pleasing acoustic tone soothes as well as bites in equal measure, a characteristic further enhanced by the pair of original P90 pickups. 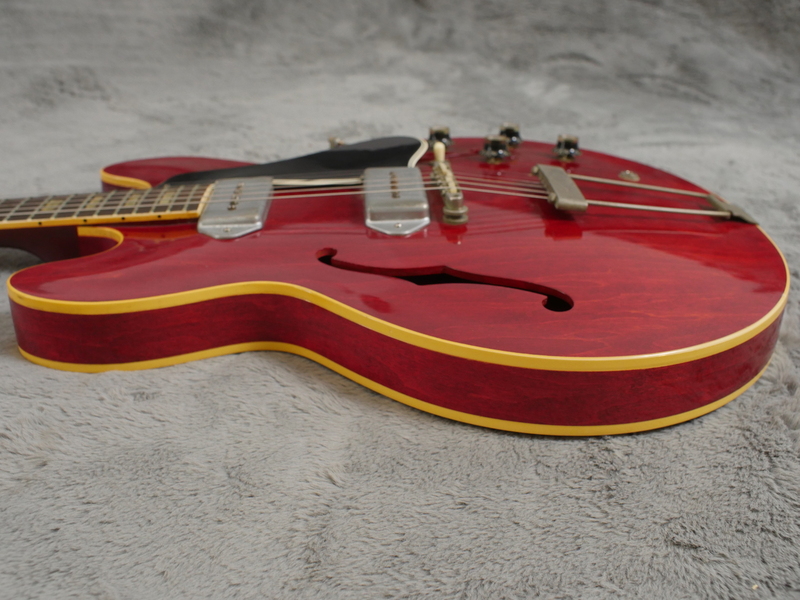 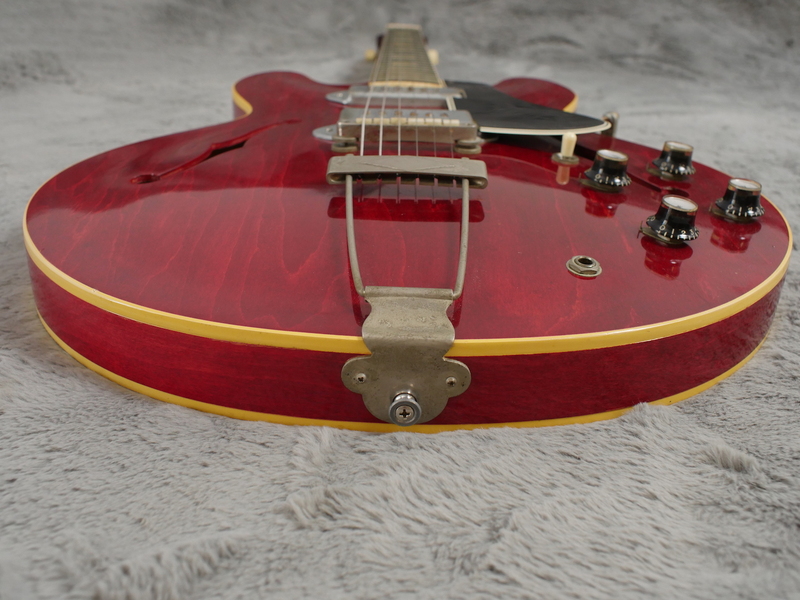 This guitar exemplifies the resurgence in popularity of the P90 as a viable tonal option. 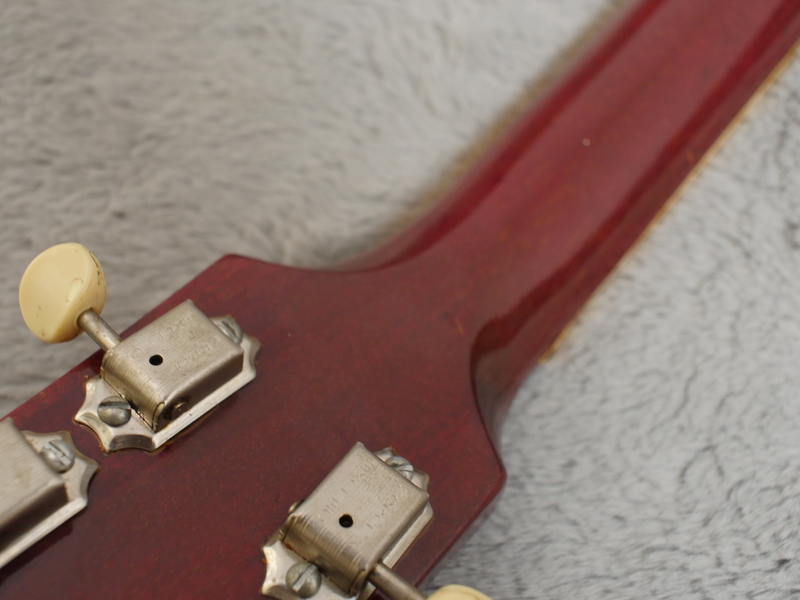 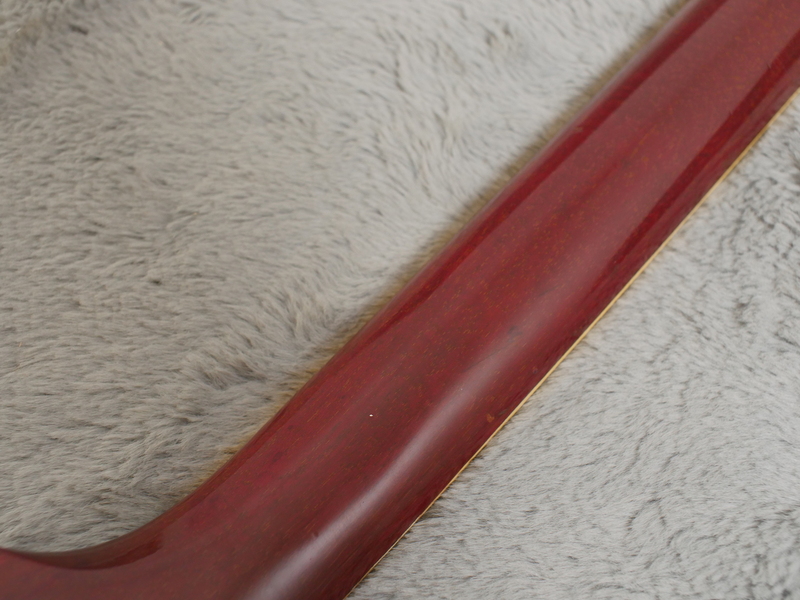 The neck is a pleasure to play with its smooth gloss finish enhancing the mahogany grain underneath. 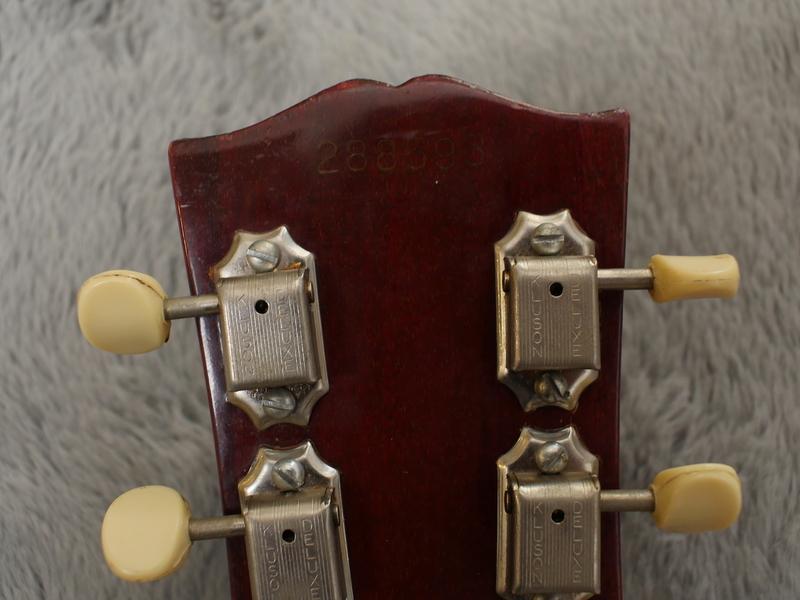 For a guitar of this age it is in very fine condition but obviously does have some dings here and there, nothing too severe though. 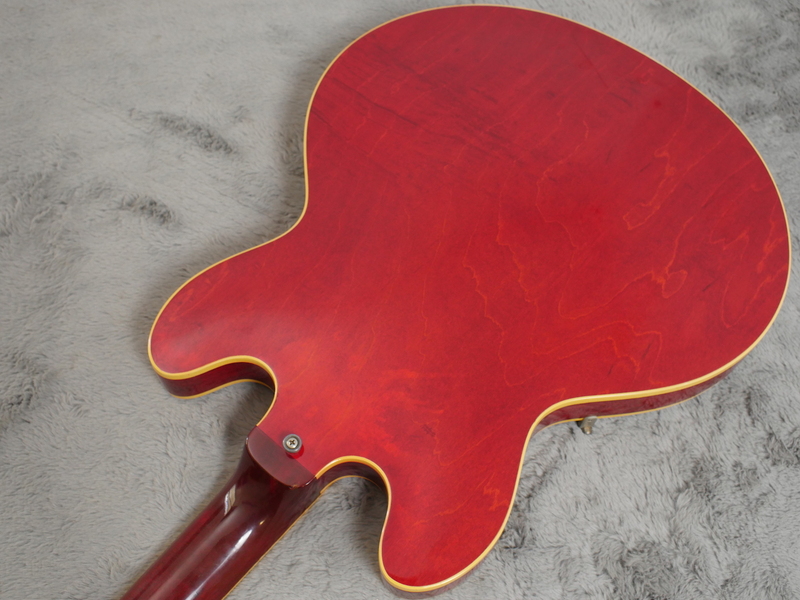 Please see the many pictures in the Gallery page for details. 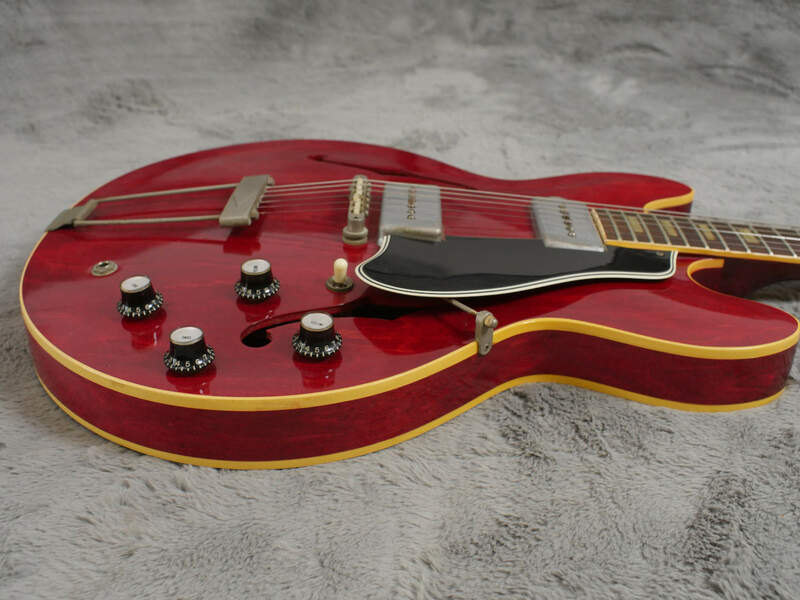 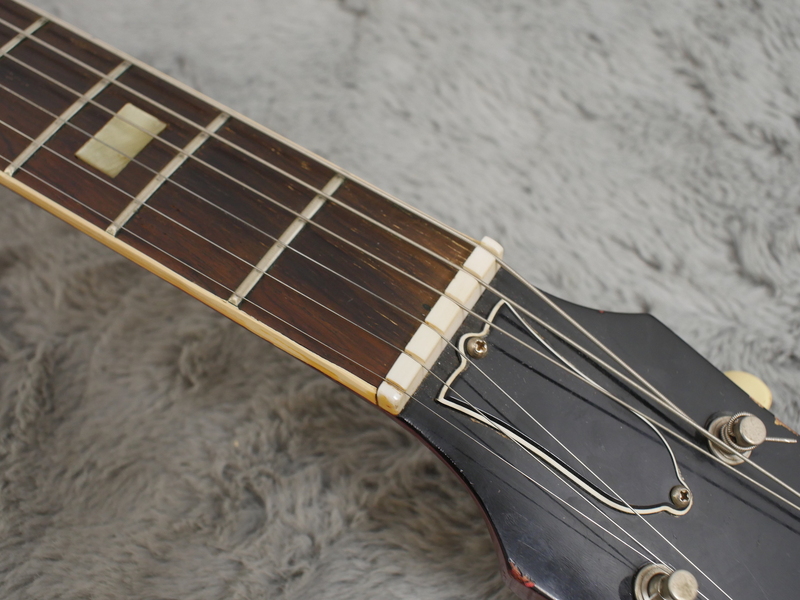 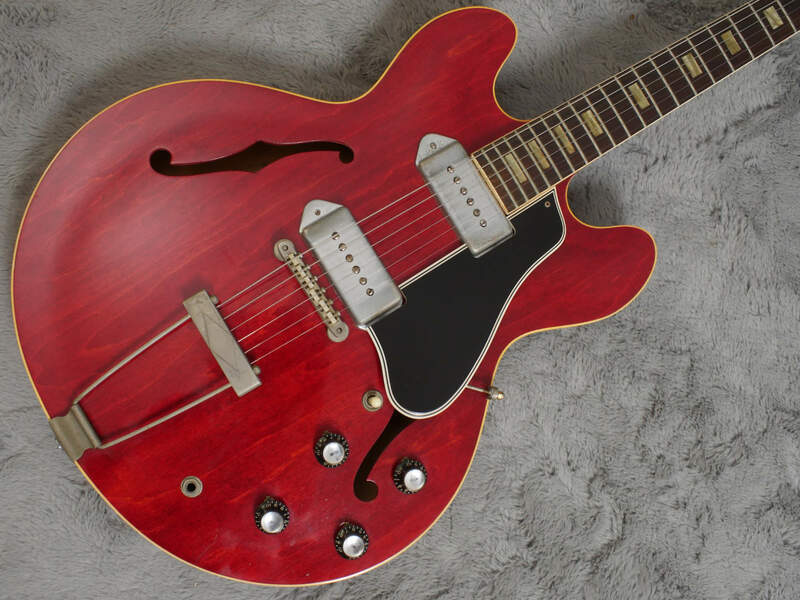 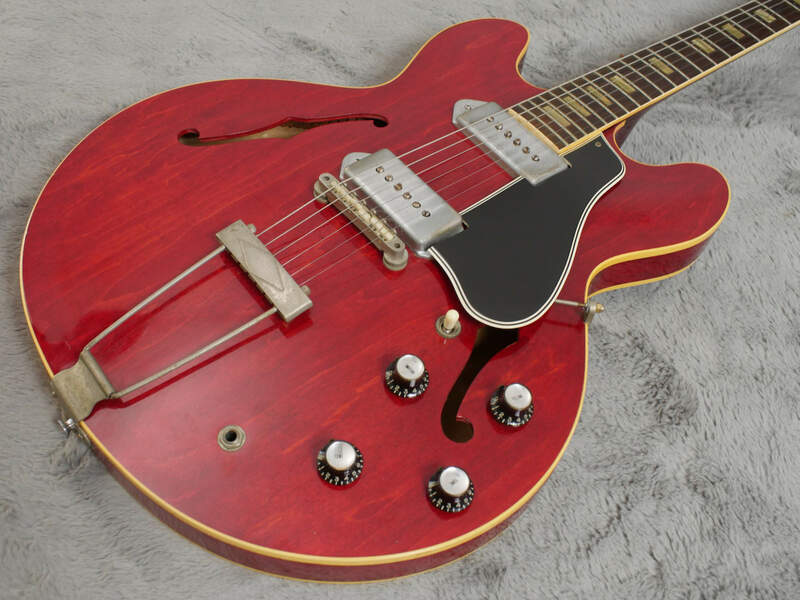 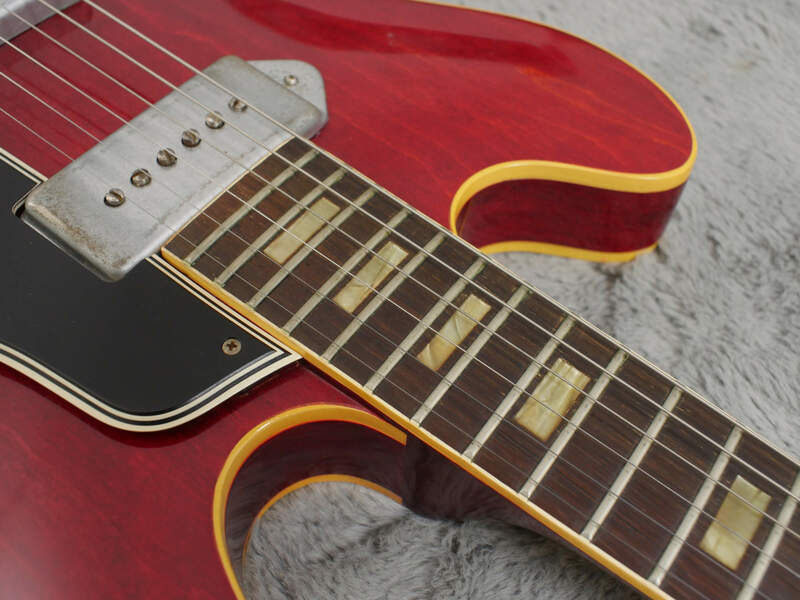 Like its Electric Spanish brothers and sisters, the ES-330 is a fantastic instrument and this example from 1964 would make the perfect addition to any collection. 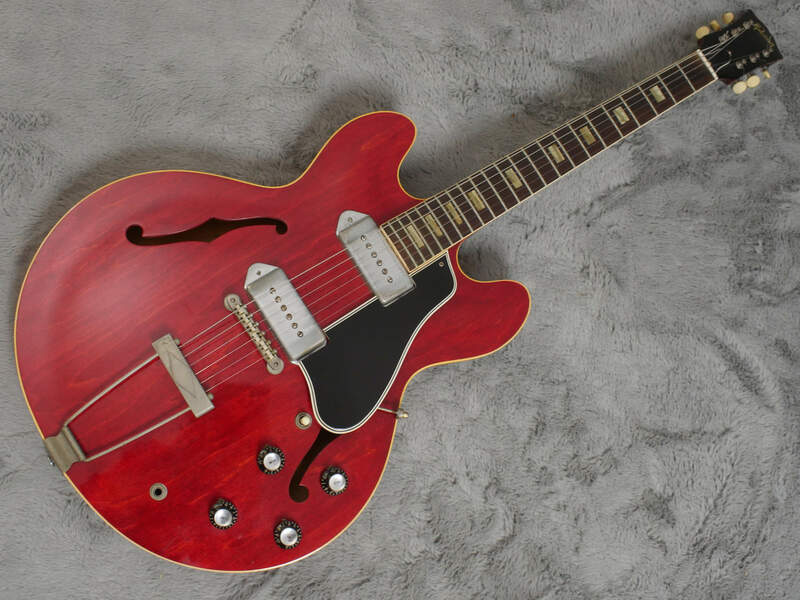 As lovely to look at as it is to play.